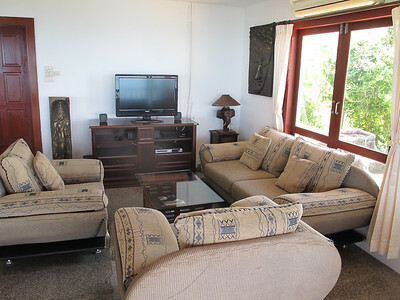 This very spacious private pool villa sits on a manicured garden hillside, commanding majestic views of the Andaman Sea. Planned with the sunset in mind, the villa has a western-view balcony where you can relax with a cocktail as the sun dips behind the distant Koh Haa islands. The 3-storey house were designed with relaxation in mind. 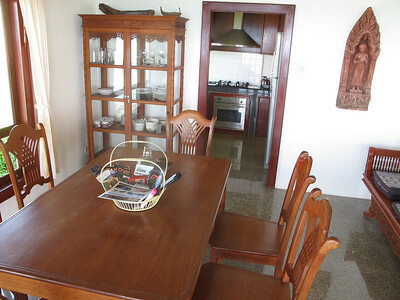 There are plenty of windows for every room with large airy communal rooms. In the living room you’ll find comfy couches for watching DVDs on the TV, while a separate dining area means plenty of extra room for everyone to have their own personal space. 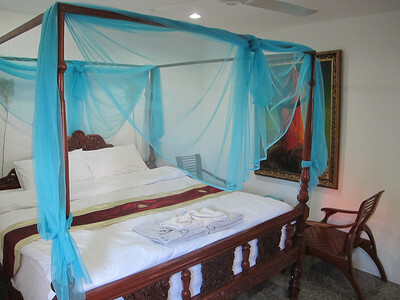 Every bedroom has a large queen-size bed with plenty of pillows, bedding and towels as well as air conditioning and ceiling fan. 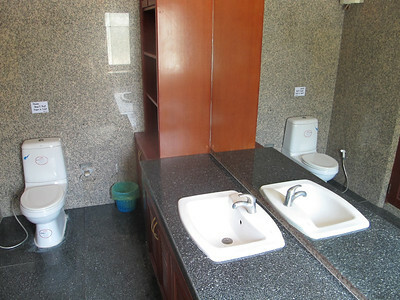 Marble bathroom features a hot water shower, western toilet and large over the sink mirrors. 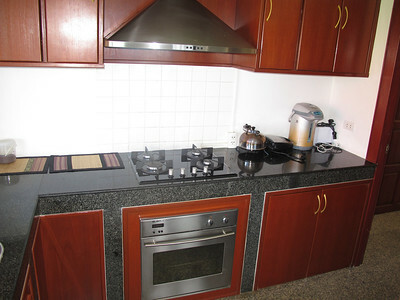 The furnished villa includes a spacious, well-equipped kitchen, so you can cook your own meals should you so desire. Local markets are in walking distance and can provide all the basics, and there is a weekly community market in Klong Nin should you want to really stock up. Well-lit all night long, the grounds are a safe and secure holiday retreat for you family. 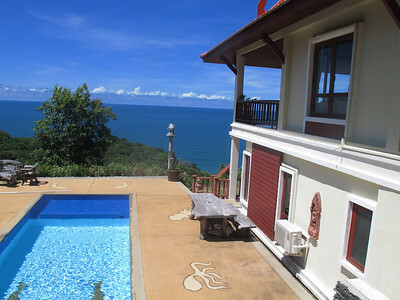 The villa is less than kilometre from the centre of Kantiang Bay, Koh Lanta’s most exclusive area. Kantiang Bay is home to some of the island’s top restaurants, and the region’s leading diving centre. The beach itself was voted one of the Times of London’s Top Ten Tropical Beaches in the World and it’s easy to understand why. Over a kilometre of broad sandy beach with a gentle azure surf perfect for swimming, snorkelling, wind-surfing or simply lying in the sun. 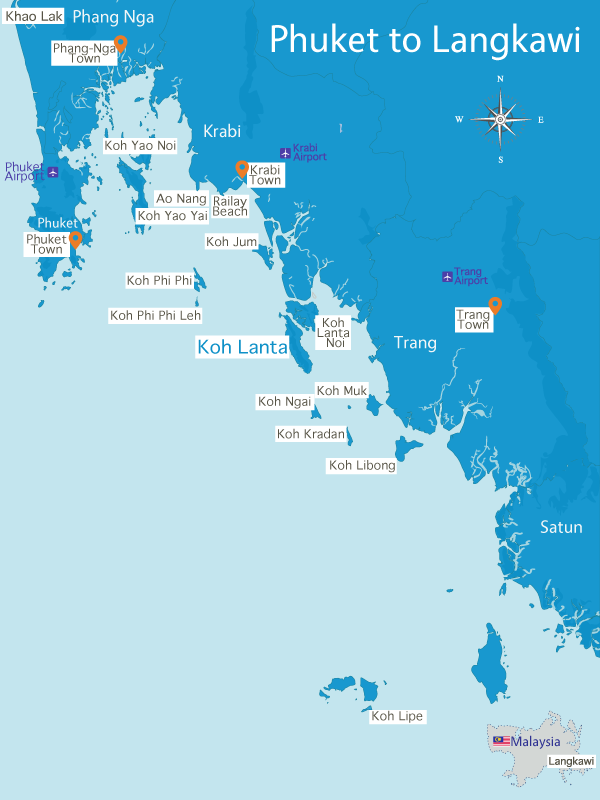 Kantiang Bay has a limited number of resorts and villas to help preserve the area’s natural beauty. This also means that even at the busiest times the beach is never crowded. Kantiang Bay is a protected harbour, so tourists enjoy the area year-round. 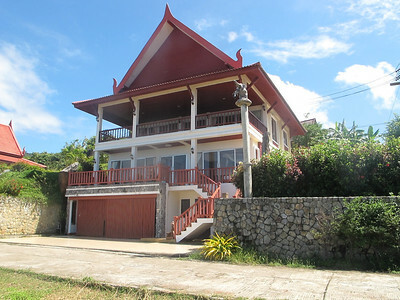 Refundable Deposit In Case Of Damage: Upon arrival a 10000 Thai Baht deposit is also required in case of damage to the villa. This deposit will be refunded after your stay minus any damage costs. 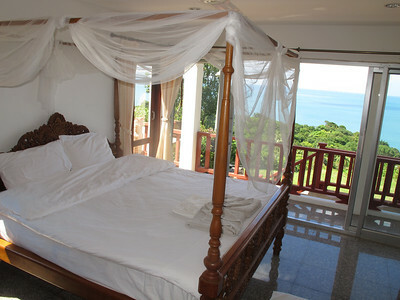 Which Ko Lanta Villa Would You Like To Book?